The following text comes from our text, Light to the Nations I: The History of Christian Civilization. For ordering information and this and our other books, please go here. 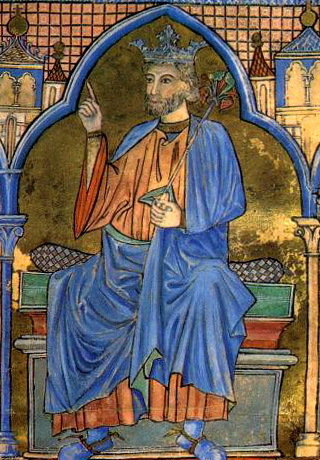 When the Cid was in his thirties, he had helped Alfonso’s brother – Sancho, then the king of Castile — to seize León, which belonged to Alfonso. When Sancho was slain, Alfonso, who became king of both Castile and León, held a grudge against the Cid. In 1081 the monarch banished the Cid, forcing him to earn a living in foreign lands. The Cid and a few followers who went into exile with him became full-time, professional soldiers— mercenaries who hired themselves out to any lord, Christian or Muslim, who would pay them. The Cid and his men fought Al-Andalus Muslims, African Almoravids, and occasionally fellow Christians.